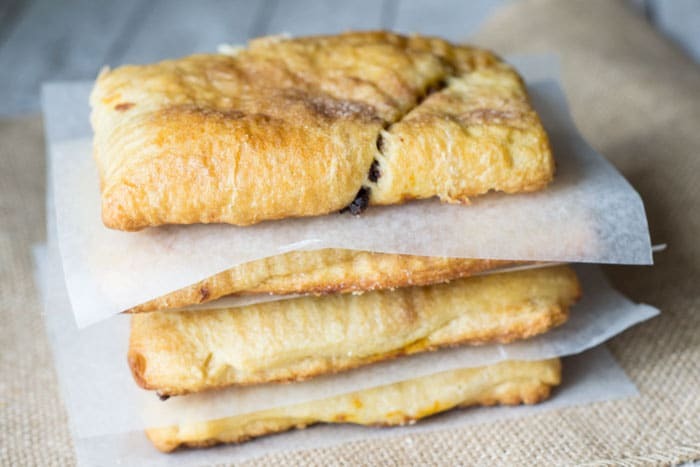 This pumpkin chocolate hand pies recipe is a sponsored collaboration with Pillsbury and Acorn Influence. #ItsBakingSeason, y’all. 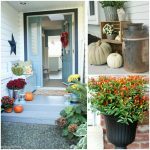 I’ll readily admit that I’m one of those girls who goes crazy for pumpkin everything as soon as the first leaf falls during autumn. What can I say? You have to get that pumpkin goodness in while you can. But if pumpkin pie isn’t exactly your thing… maybe you should kick it up a notch. 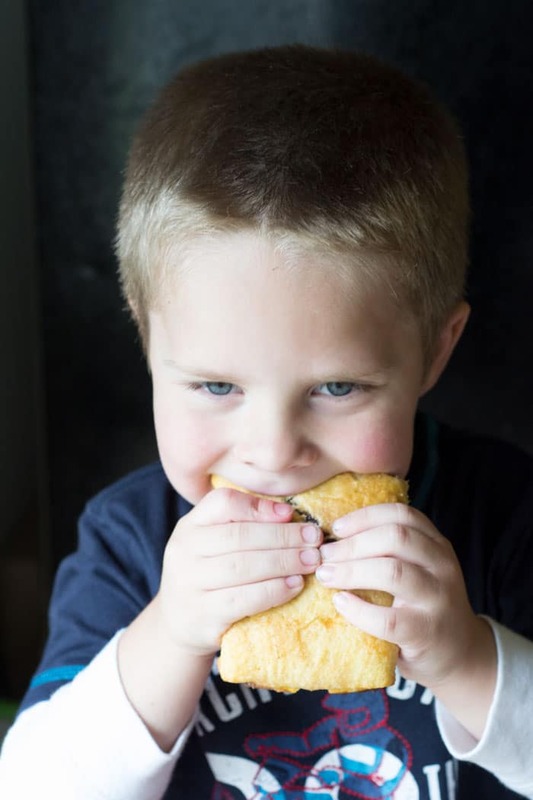 How about a pumpkin chocolate hand pie with a golden, flaky crust that you can take with you anywhere? Sounds good, doesn’t it? Making them is easier than ever. 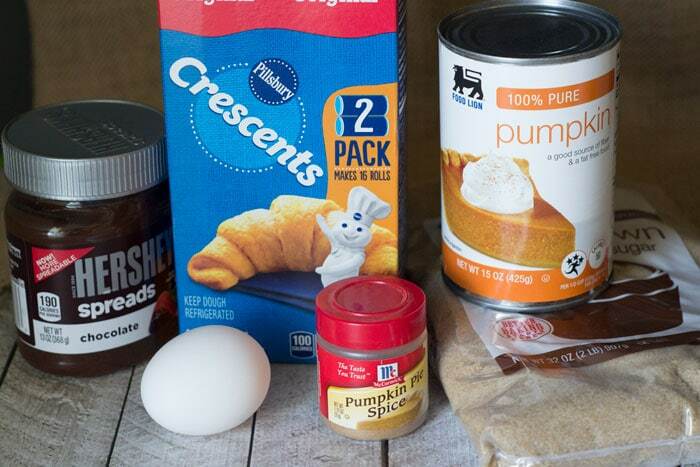 Here’s what you’ll need: 2 cans of Pillsbury refrigerated crescents dough (you can find it at Walmart), pure pumpkin (from a can is totally fine), chocolate spread of your choice, some pumpkin pie spice, brown sugar, an egg and a tablespoon of water. Simple stuff, folks. 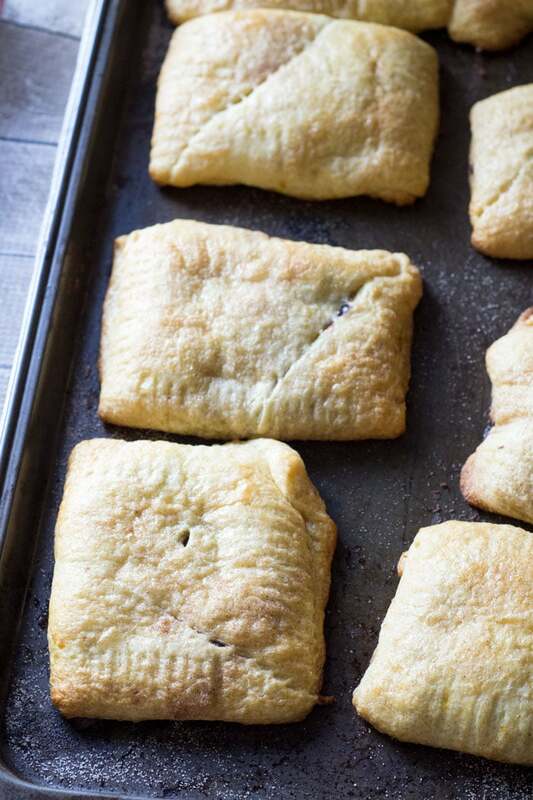 But first, a few tips for putting these pumpkin chocolate hand pies together. 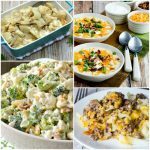 Although you normally separate the crescents into triangles, you’ll want to keep them paired in rectangles for the pies. See the perforations? 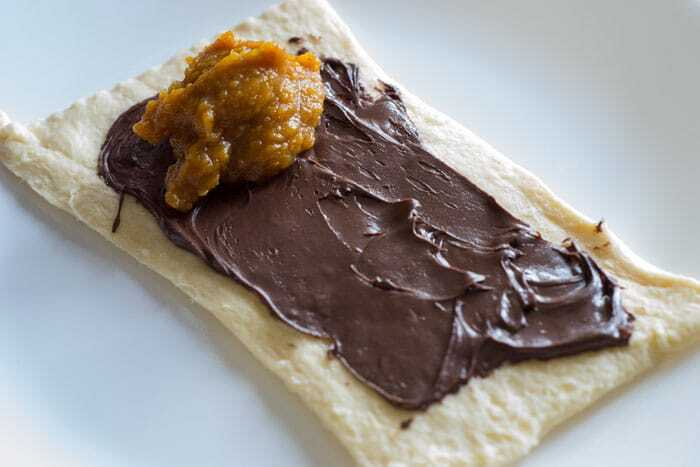 Separate them into rectangular sheets, and start adding your chocolate spread and pumpkin filling. When you fold them up, brush them with an egg wash, sprinkle the tops with cinnamon and sugar, and press the edges with a fork (or just squeeze them together if you prefer). Now they’re ready to go into the oven! They’ll come out warm, golden brown, and absolutely delicious. 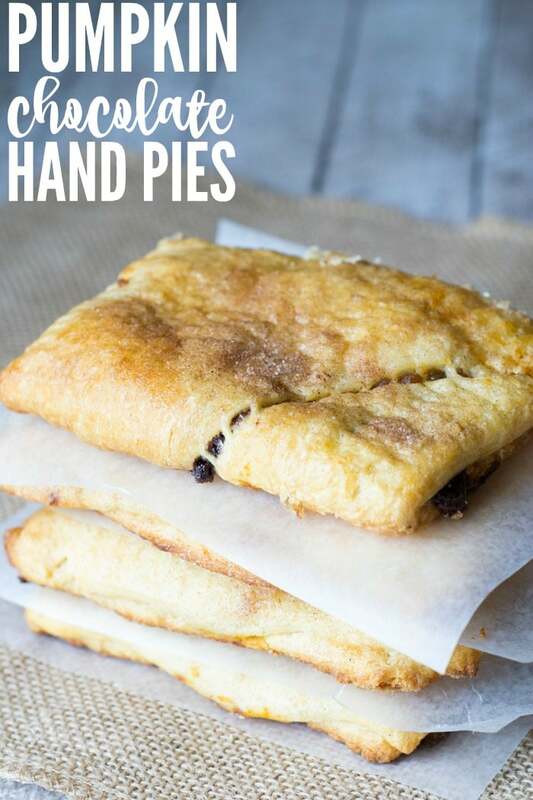 These pumpkin chocolate hand pies are a delicious twist on a traditional recipe. 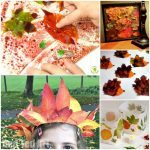 Even kids will love this holiday treat! 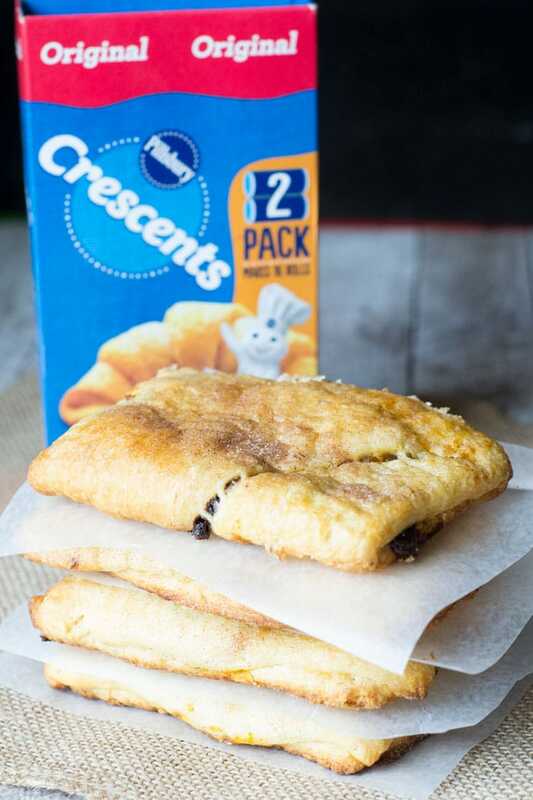 Roll out the 2 cans Pillsbury refrigerated crescent dinner rolls, keeping the sheet of dough intact. 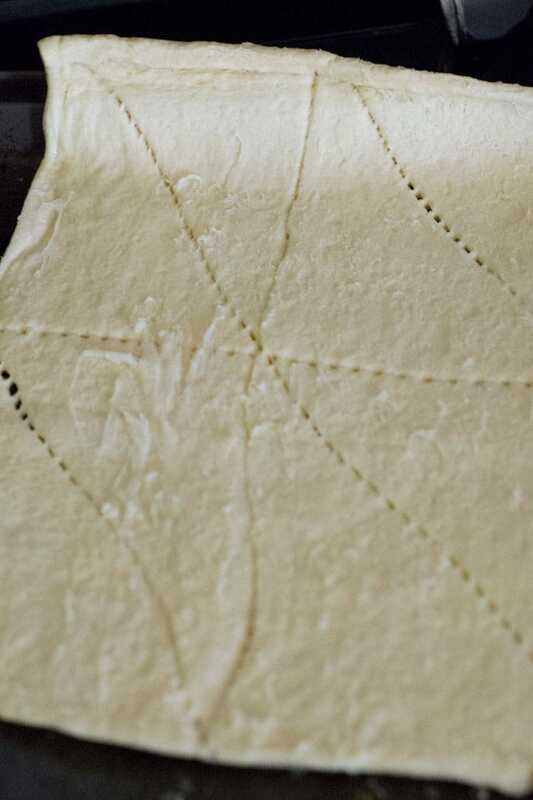 Instead of separating the dough into triangles, keep them paired in rectangles. 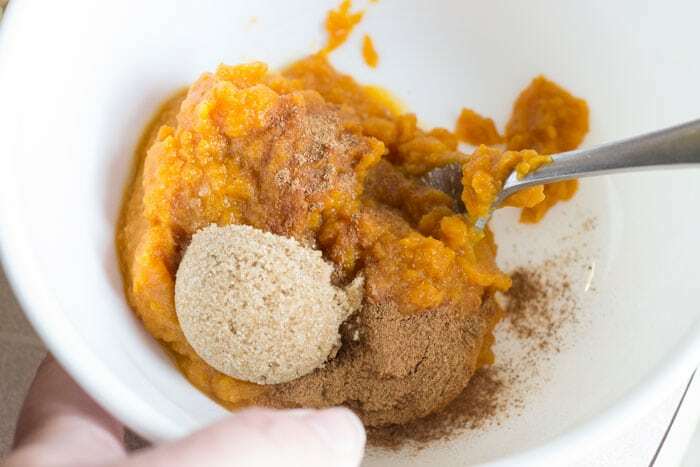 In a small mixing bowl, combine mashed pumpkin, pumpkin pie spice and light brown sugar. Thinly spread the chocolate spread in the middle of each rectangle. Add a tablespoon of the pumpkin mixture on top. 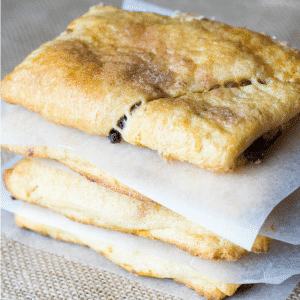 Fold the dough, and use a fork to press the edges together. Mix the egg and water to create an egg wash. Brush each pastry with the egg mixture. 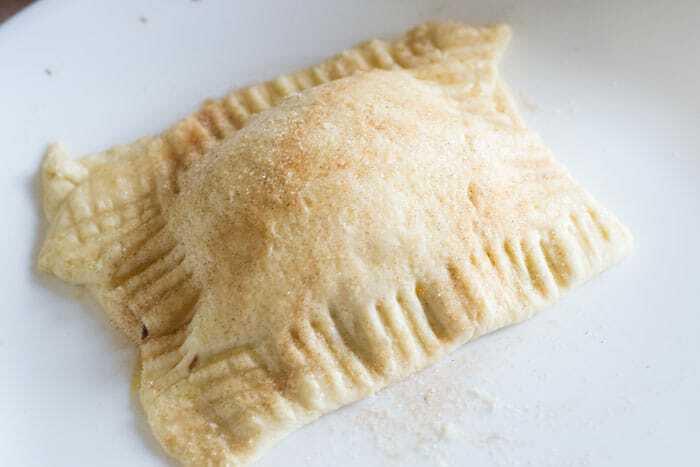 Sprinkle a half and half mixture of cinnamon and sugar on top of each pastry. Bake in oven 13-15 minutes, until pastries are golden brown. Even my pie-averse son gobbled these up!